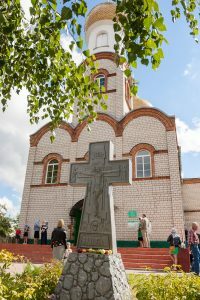 The cathedral in honor of the Life-Giving Trinity in the city of Zhlobin was built after a big fire on May 13, 1880, when not only the greater part of the city was burnt, but also the wooden Cross Exaltation Church. 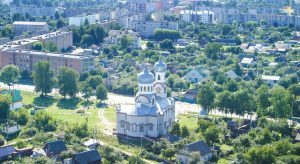 For construction, the highest place was chosen, on the banks of the Dnieper. The fate of this beautiful church proved to be difficult. In the days of Stalin’s repression, Father Adam Zhdanovich was arrested. There was no one to serve in the church, and it was closed by the authorities. In an empty room it was decided to arrange a city archive. During the fierce bloody battles of 1941, the temple was on the very line of fire. It was destroyed almost to the ground. Shining domes were far visible, even in bad weather. They served as a sight for fascist artillery. Therefore, it was decided to blow up the church. 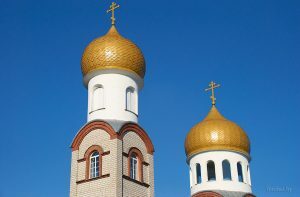 Three times laid the explosive under the church walls, but the temple stood firm, only the golden domes rolled down. The remains of the walls were taken up by local residents to restore houses destroyed during the war. 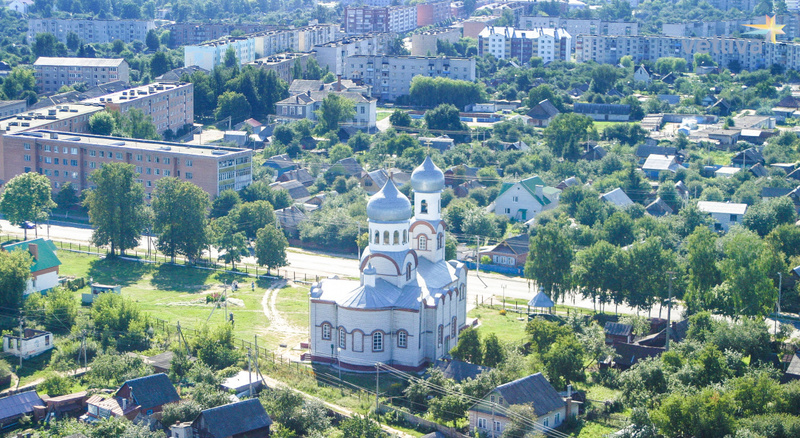 In 1992, it was decided to build a long-suffering church anew. 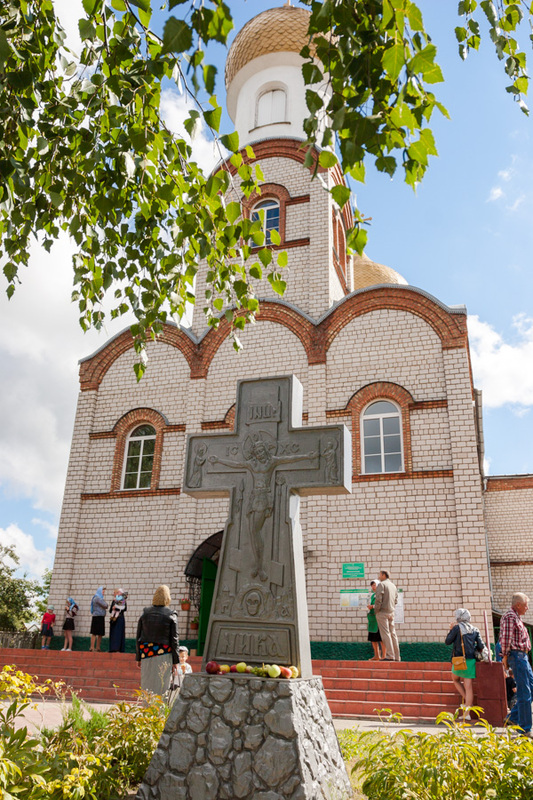 In 1995, the consecration of a fully constructed church took place. Now its bell ringing is spreading far along the Dnieper, and the golden domes are visible almost from any point of Zhlobin. Grateful parishioners love their church. They with love and patience grow a beautiful garden in church territory. Through the efforts of believers, a Sunday school for children is organized. Recently, the icon painting school of spiritual painting was opened. 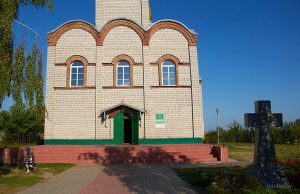 In the church there is an Orthodox public library. © 2017-2018 Places.BY. 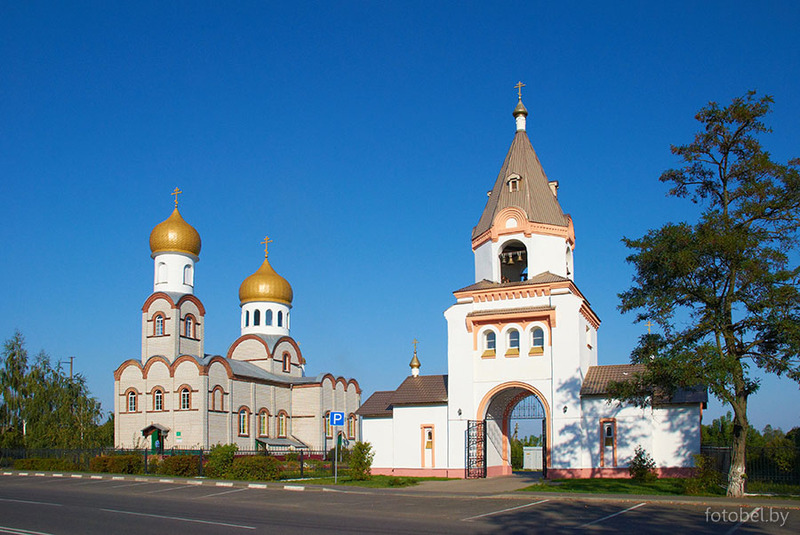 Portal about Belarus: sightseeing, rest, history, everything for the tourist.